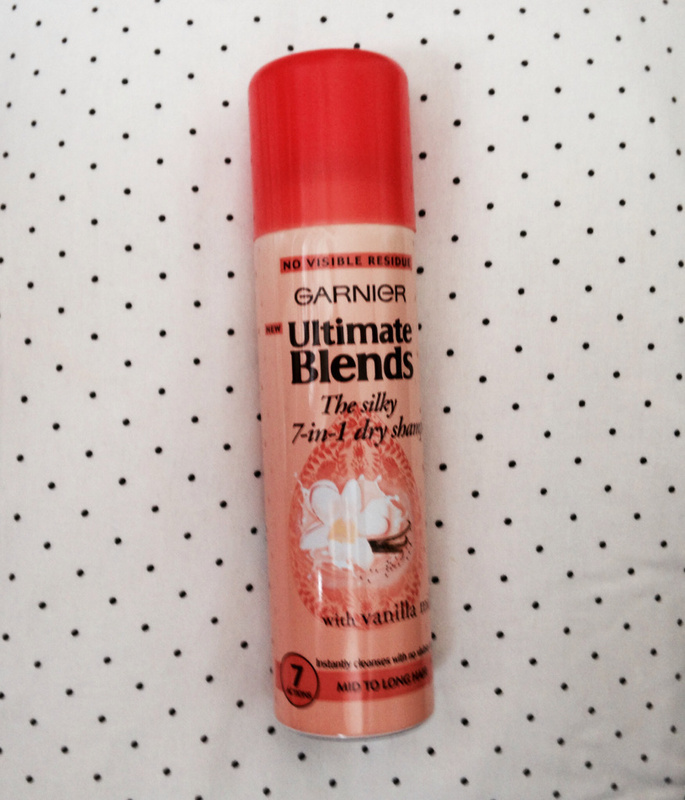 Everyone loves and uses Batiste dry shampoo, as do I and as most people do, they are really good but I thought I would branch out and see what other dry shampoos are out there. 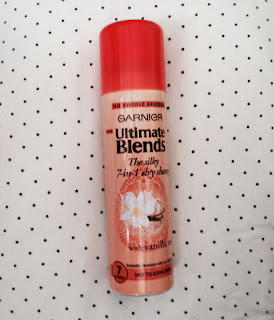 What drew me to Garnier Ultimate Blends the silky 7-in-1 dry shampoo is that it is made with Vanilla milk and I love all things that smell like vanilla. It smells amazing, the vanilla fragrance is awesome and leaves your hair smelling fantastic! It leaves no residue on your hands which is a plus and after using it my hair looked much better, it didn't look greasy and had a bit more volume to it! :) Their 'invisible formula' is genius and hair looks refreshed, it's a great product to have if you don't have time to wash your hair. It did not disappoint and hopefully more people will catch on to it and give it a try! I didn't at the time realise there is also a shampoo and conditioner of the same fragrance, I will be definitely getting that the next time. Vanilla products are my kryptonite!